Historically, there has been unfair discrimination by traditional journey planning algorithms against mixing public transit options (metros, trains, buses) with car options (cabs, driving), keeping them as separate choices. Our SuperRouter (A to B algorithm) is now combining transit and cars to create new trip possibilities you never knew existed. This is a world’s first, and the future of multimodal mobility in cities. 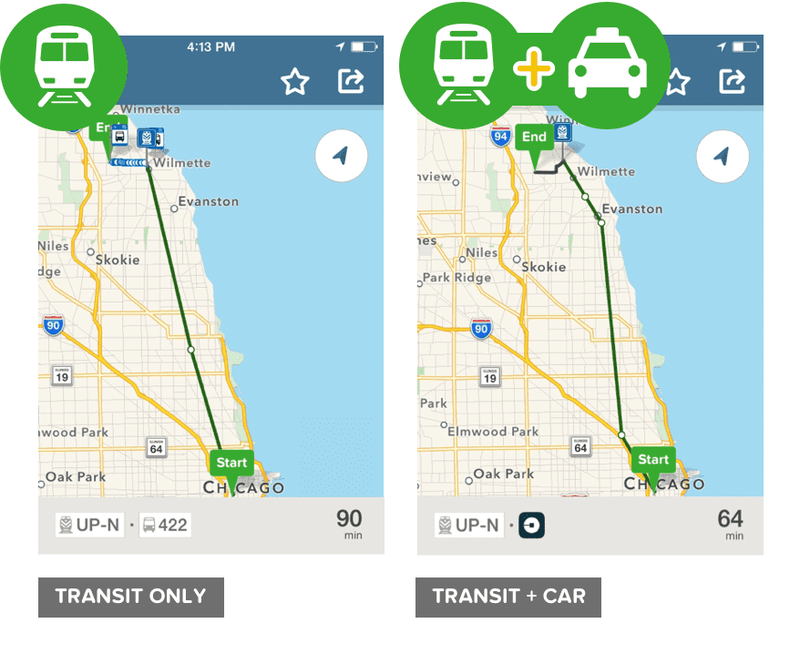 March ’16: We’re starting by combining Uber with public transit in all the cities where we’re live (iOS first). Multimodal trips only show when competitive. A better connected city. Access greater regions of the city that might not be well supported by public transportation. Reduced costs. More affordable options than taking a cab all the way, especially for long distances. Reduced travel times. Sometimes trains are faster. Sometimes cars are faster. Sometimes combining them is faster. Beat traffic and parking. Trains can be superior in congested areas or central parts of cities. People in cities have already been mixing up modes, generally in Park&Ride scenarios. They laboriously look at the time to each station and train departures, figuring out routes in their heads. Our latest A to B algorithm can now do this for hundreds of stations in milliseconds, finding the best routes instantly, accounting for the time of search, and also providing real-time ETA predictions. 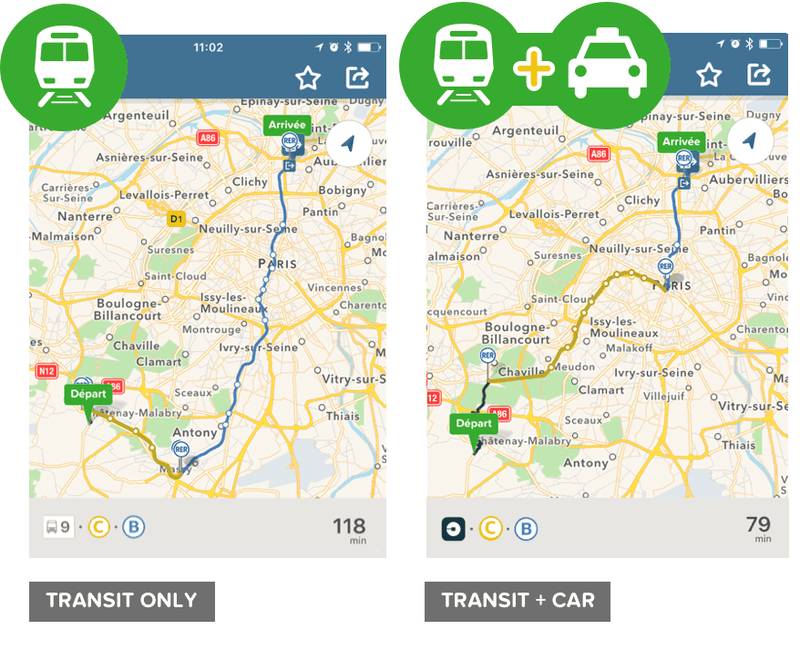 Let’s see how our multimodal routing improves journeys and connections in the real world. 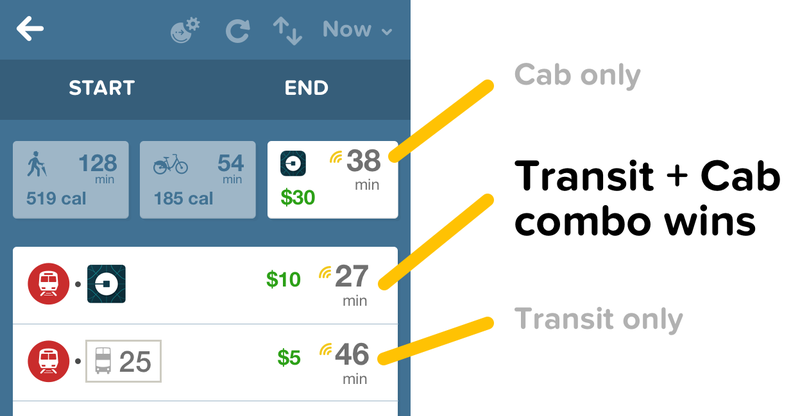 In the examples below we’re using Uber’s API for UberX prices, availability and travel times (available in our app). San Francisco Bay Area — Stanford to the Apple HQ. 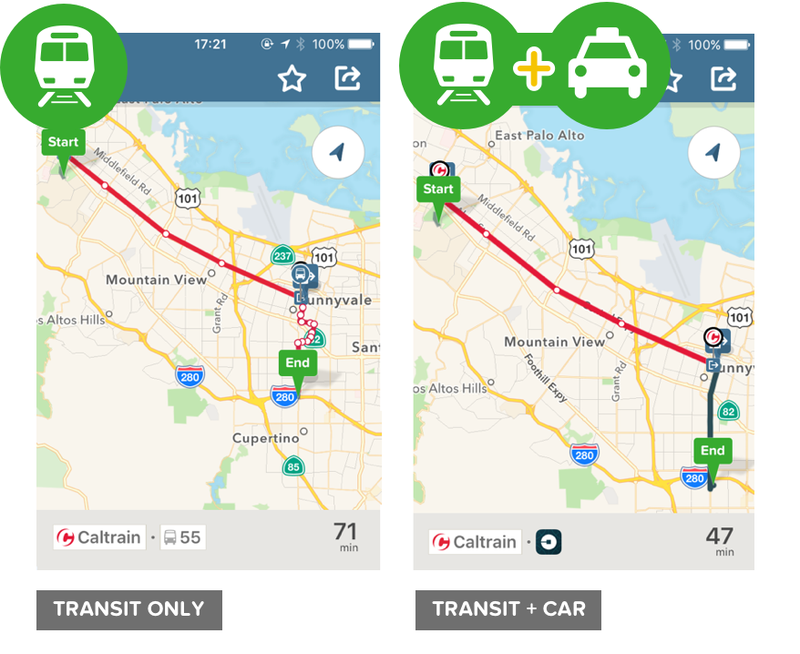 Here we combine Caltrain & Uber to save 25 mins. $10 altogether instead of $40 with a cab all the way. New York City — 20 mins saved from Upper East Side to IKEA, skipping the bus. $16 altogether rather than $45 if you cab all the way, which you can spend on another table lamp. Paris — 30 mins saved from HEC to Stade de France by picking a better station not accessible by bus. 20 euros for the combo rather than 55 euros+ to cab all the way. 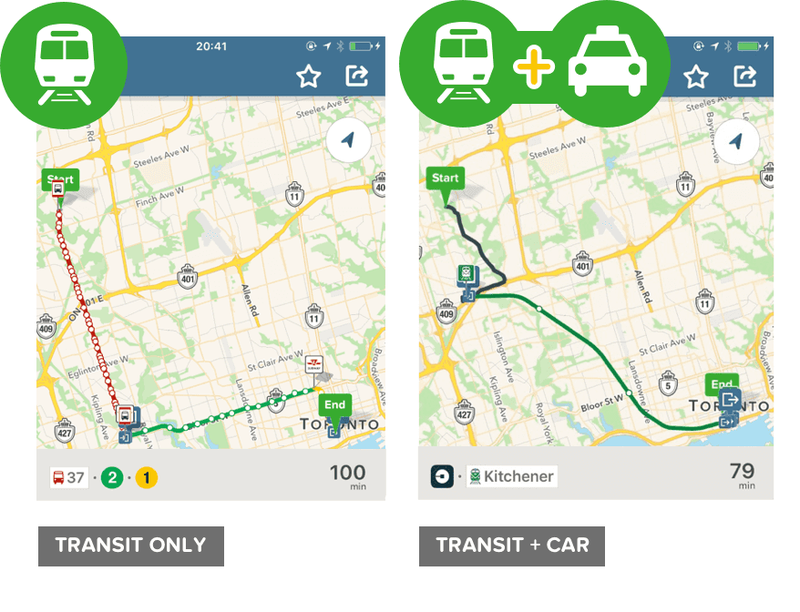 Toronto — 20 mins saved from Rowntree Mills Park to Downtown, and a better direct Go Train ride. $17 altogether rather than $38 to just cab assuming you don’t get stuck in downtown traffic. Hong Kong — Sai Ying Pun to Shek O in less than half the time. HKD50 altogether rather than HKD220 with a UberX all the way. Chicago — 25 mins saved from Downtown to Wilmette, by using a cab at the best train station. $11 combo rather than $25 for a cab only (with the risk of surge downtown). London — Save 17 mins to Gatwick airport from Lancaster Gate by combining an Uber with the Gatwick Express. £30, not much more than the £22 using the tube + express train, and much less than a £95 cab journey all the way, which in this case would be much slower anyway. There is a lot to improve: these are the crazy wild early days of this new type of multimodal routing. We will get better over time as we learn from usage and receive feedback from the real world. We plan to improve our calculations of prices, travel times, transfer costs and include features such as better pickup points for cabs around train stations. 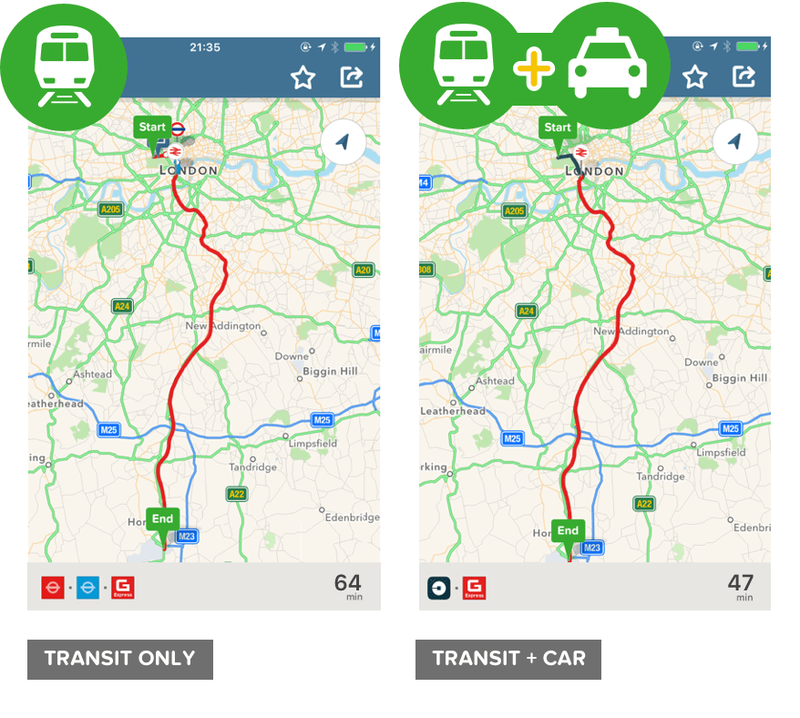 This is exciting: we’re fusing two separate complex networks in the city: the metro network and the road network. And we’re accounting for real-time information such as train departures and car availability to provide full end-to-end information. We believe we’re generating additional and better ways to move and wander around cities using the existing infrastructure. In doing so, we hope we’re making the city more efficient, better connected, and more usable. 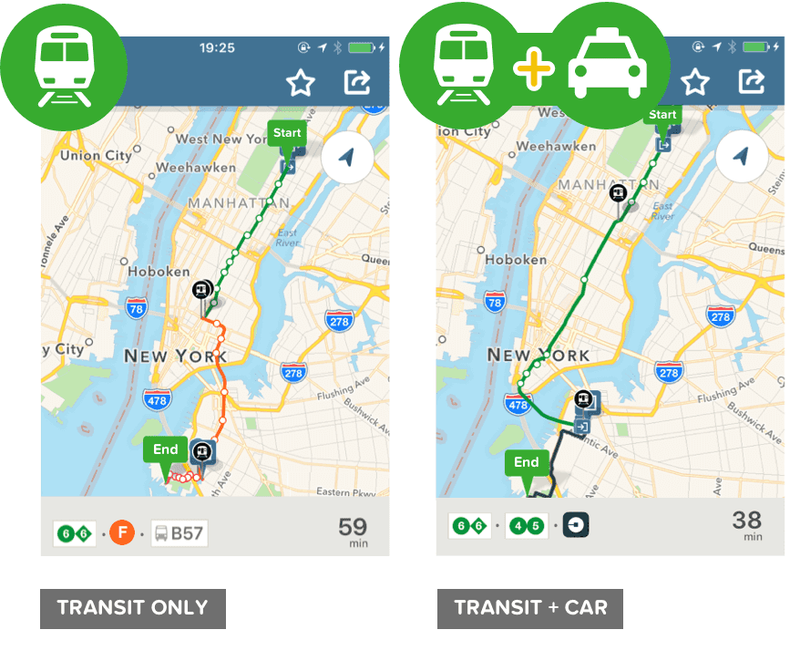 Try it out: Citymapper.com/apps. Help us improve it: Citymapper.com/jobs. 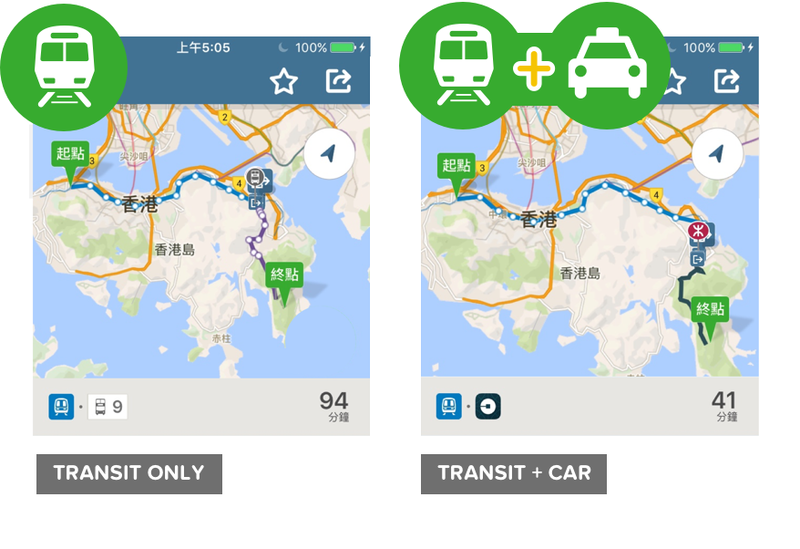 Follow us: facebook.com/thecitymapper.